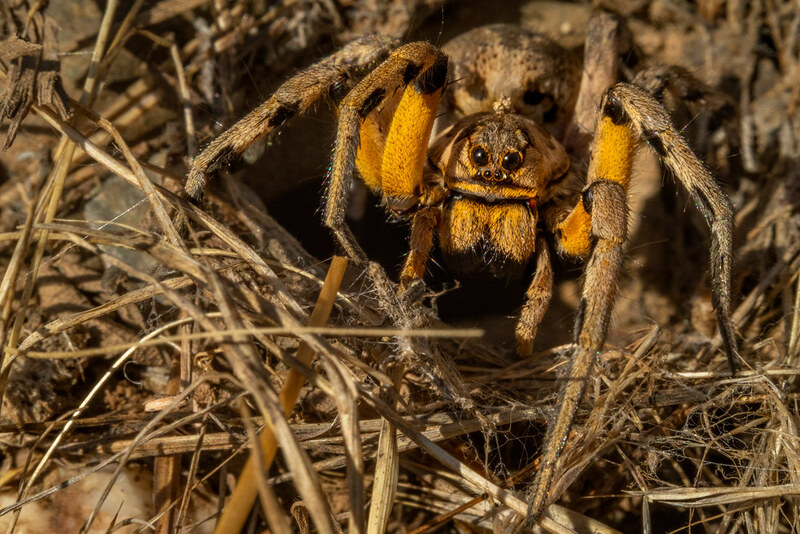 In this months article in the Algarve Resident, I will be writing all about the Lycosa tarantula, the Tarantula Wolf Spider that we have near the Quinta. Therefore, for maximum effect, I decided to try to get a “Macro” shot (technical name for Close-up). I don’t own a Macro lens, but I do have a Reversing Ring which enables me to attach my 50mm lens to my camera backwards which is the “Poor Mans Macro”. I wrote a Blog Post about this a few years ago. So here you have it, a close-up of our Female Tarantula Wolf Spider! If you missed my post with all the information about this “original Tarantula” Spider, you can find it HERE. 30% Discount on 1-2-1 and 1-2-2 Workshops Until The End Of September!